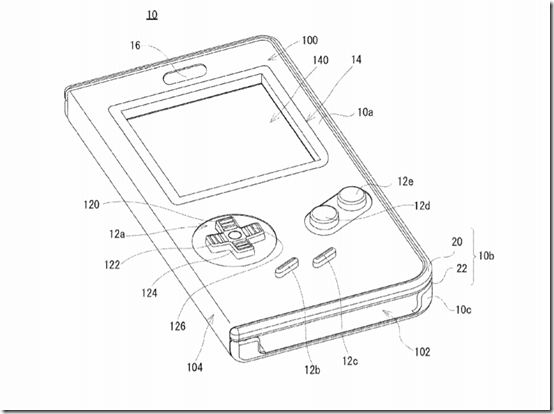 Nintendo filed a patent for a Game Boy-inspired smartphone case back in March this year. 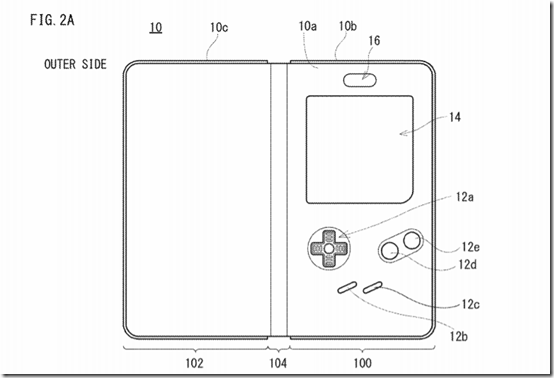 The US patent, uncovered by Silicon Era, features a flip-case or folio with the familiar Game Boy style array of physical controls on its front and a suitably sized window onto the screen below. It is further evidence of Nintendo seeking to monetise its old back catalogue on new platforms and likely a big reason behind its copyright enforcements against hosts and distributors of even its oldest IPs. To make use of the new gaming cover from Nintendo, the source reckons that the big N will be producing an officially sanctioned Game Boy emulator to work with the product. From the product's appearance this sounds more likely than it being designed and produced for new mobile games. Functionality provided by the new case relies upon conductive buttons and a conductive sheet being used within the design, necessary to pass on the user input to the screen. One would expect that Nintendo would have to produce quite a few SKUs to make its product ready for the wide variety of smartphones available nowadays. Even so, Nintendo doesn't want to restrict itself to smartphones with this patent and mentions that such a cover could be used by "other electronic equipment such as a tablet terminal that does not have a telephone function". The source reckons that the uncovered patent confirms Nintendo's intent to market some kind of Game Boy emulation solution for smartphones, tablets, and possibly the Switch tablet too. I've never been keen on the Game Boy and my first handheld console was the Atari Lynx which I played for many hours. However, the SNES, N64, GameCube, and Wii were popular in our family so currently the most highly anticipated Nintendo re-issue for me is the rumoured N64 Classic Mini. Love the idea, I have a feeling it's only certain phone models that will see this case like Apple, flag ship Samsung ect ! The Game Boy was the console I spent the most hours on, partly because I was moving around a lot in my childhood and partly because my folks didn't want to get me a home console (so I basically saved up pocket money from chores to buy a second hand GB from a mate) so there is a lot of nostalgia here. A pretty god idea, actually, although I'd still rather just have an old handheld console and use a flash cart. It is further evidence of Nintendo seeking to monetise its old back catalogue on new platforms and likely a big reason behind its copyright enforcements against hosts and distributors of even its oldest IPs. Not with a design like this, as it only covers the oldest two-button games. Anything that requires ABXY and/or shoulder buttons is immediately excluded without altering the design. One would expect that Nintendo would have to produce quite a few SKUs to make its product ready for the wide variety of smartphones available nowadays. I was one of the unfortunate kids, my parents only got me a GameGEAR so i do not feel qualified to comment on this thread.